Summer is winding down, Hurricane Hermine just came through and we are ready for cooler weather and some good Fall fishing. This summer started with some of the best snook fishing I’ve had in years. Fishing the flats, passes and beaches produced big numbers of fish and big fish as well. Our best snook fishing was fishing the passes on the out going tides. 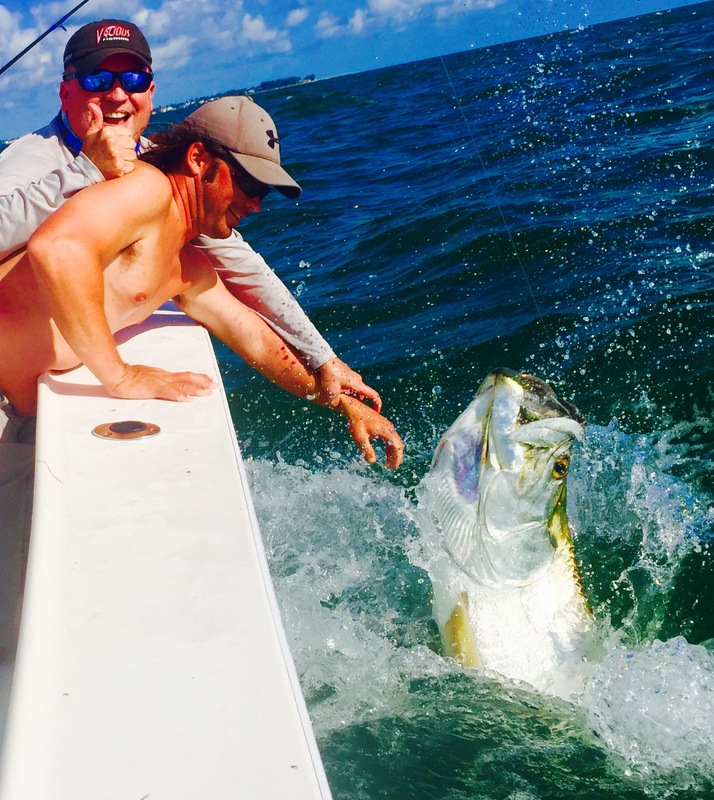 Several fish in that 36″-38″ range and we also were able to break the 40″ mark a couple times. Baits of choice were scaled sardines, pinfish and grass grunts. The most saught after fish in the summer for a St Pete Beach fisherman is the Tarpon. I’ve been fishing my hole life and guiding people to tarpon and seeing these fish come out of the water never gets old. We had great tarpon fishing this summer right off of St Pete Beach. My charters had the best luck with casting various live baits at the migrating schools of fish. No real monster fish were caught this year, but several in the 100-150lb range. I am still catching a few here and there but the main run is over. Towards the end of July and into August we moved our attention to fishing for redfish on the flats. Late summer reds really start to school and you can have some amazing mornings on the water. Fishing oyster bars and grass near mangroves with schools of mullet are the best places to start looking. Just recently had back to back mornings with over 35 redfish before 10am. I’m using a baits from cut lady fish, cut pinfish, cut mullet and live white bait. As we move into our fall patterns we will continue to fish for the redfish on the flats, but we will also start to move out to the Gulf of Mexico for the Spanish and King Mackerel run.